In 2010 I attempted to estimate the impact of Trip, the results can be seen here, but the important point was an estimate that 40.77% of searches improve patient care. Within that post I discussed why the 40.77% might be too high and why it might be too low – there are good reasons on both sides. In 2013 Trip was searched 4 millions times. So, 40.77% = 1,630,800. Bottom line: in 2013 Trip helped improve patient care over 1.6 million times. 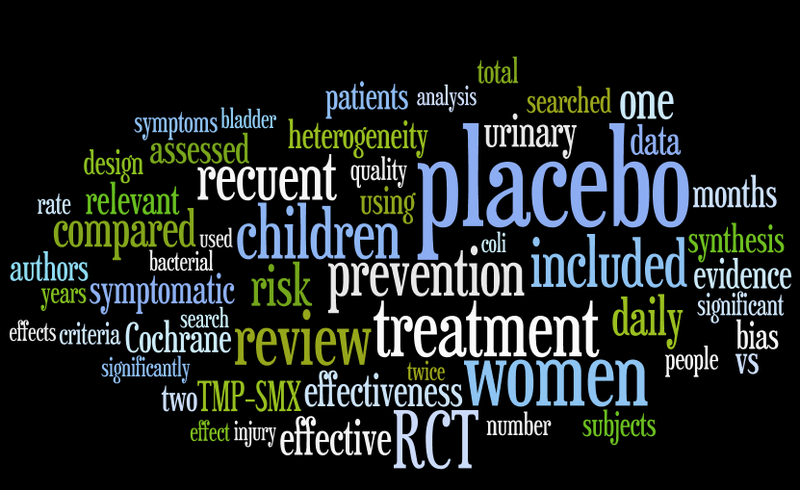 Oh yes, we were also mentioned in over 350 systematic reviews and/or articles (see here). This is very much a ‘thinking aloud’ post. In October last year I posted Structure in Trip an article that described the social networks of articles in Trip, based on clickstream data. 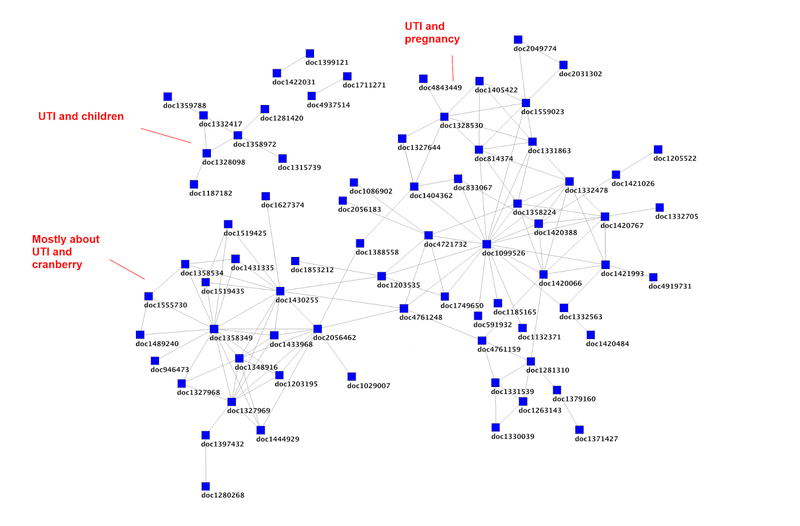 The analysis allowed me to produce graphs like the one below (based on the clickstream data of people searching for UTI. The structure is clear and I’ve labelled a few, the most prominent being UTIs and cranberry (in the bottom left of the graph). I’m increasingly of the opinion that this can be used to speed up the review process and also improve the search experience (but search is for another day). In social network analysis there is a view that within a cluster there is a lot of duplicated information. If you think about your social networks your close friends probably know lots of the same things as you – this duplicated information/knowledge about birthdays, addresses etc. I can’t help feeling this is likely in clusters of articles. So, take the cluster of UTI and cranberry there’s probably a lot of duplicated information (background information I would have thought). But there is also lots of unique information (e.g. each set of results will be unique). Then the conclusions are probably split into three main types – positive, negative, uncertain/ambiguous. And this is the thinking aloud part – I’m not sure if that’s helpful or even useful. It’s pretty. But I really don’t think it’s hugely helpful as it stands. However, it does take me further along with my thinking, I think! Perhaps adding some specialist semantic analysis would be helpful. So, our system gives it a score of -0.12, so I would say that the results show no clear evidence for or against the effectiveness of cranberry juice in UTIs. One point, one of the trials is for a highly-specific population ‘patients undergoing radiotherapy for cancer of the bladder or cervix’ so ideally would be excluded. Lots of things to reflect on. I would say our conclusion is pretty much the same as Cochrane’s. Ours is based on far fewer trials. 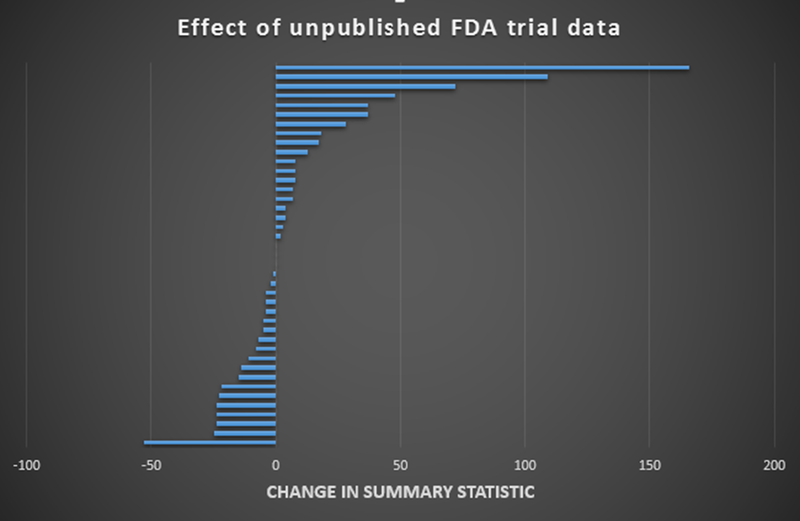 This, in part, reflects the fact that our cluster was only based on a small sample of all our data, so a full analysis would highlight more trials. But I think the principle is there, instant systematic reviews – easy! I’m hoping I’ll look back at this post in 2-3 years time and laugh at how basic the analysis is – reflecting a significant leap forward in my work.